This is a great announcement to be able to make. For the past 6 weeks I've been working on FTL - the bridge combat roguealike that's charming everyone. Let me tell you a bit about how I got involved, and what I'm doing. I first read about FTL some six months ago in PC Gamer, tore out the page to remind me to look it up, and then forgot all about it. Then I played the limited time onlive demo and was blown away (apparently it was the most played game on the service during that period). FTL captures all the good stuff: the ordering crew on suicide missions to fix vital components, the MORE POWER TO ENGINES and the transporter catastrophes. It also tells a randomly generated tale drawn from a vast library of pre-scripted events with different options and outcomes. In short, I wanted me some of that, so I got in touch. Around the same time Justin and Matthew were making headlines for netting a cool $200,000 from a $10,000 kickstarter campaign, and were in the process of expanding the game's scope and hiring a writer. The new hangar screen, and the Federation Cruiser. 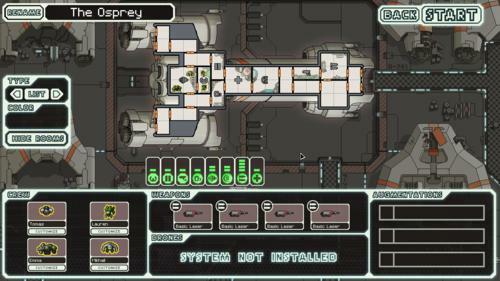 Working on FTL has been fantastic, mostly because I'm already so sold on the game and the guys' ability to pull it off. I've been developing the alien species (like the rockmen you see in the header image) and we must have doubled the number of events since the demo (which - I feel bad about this - are being pain-stakingly hand-coded into the game by Justin). The aim is to make each sector in the game feel special, with hidden paths and unique events for replayability. We want players to keep on exploring the galaxy long after they defeat the big boss because it's just such an interesting place to visit. All this being said, the reins are very much with the chaps: they seem to know what they want, and I'm trusting that their top-level view is sound, because I don't have much of one. Here I've managed to beam two of the deadliest aliens - a Rockman and a Mantis - onto the enemy ship. Then it catches fire and I have to race to bring them back home before it blows. As much as anything else it's been fantastic to get right back into a decent indie project. I've had a couple of cancelled AAAs over the past few years which is always a bummer, and while I've been involved in a number of other indie things - on Cargo! A Quest For Gravity and my own ir/rational - it's been nothing big enough to compare to working on Penumbra: Overture some six years ago. With FTL we have limited resources, a tough schedule, and thousands upon thousands of words to write. It's great to know they'll be going toward a good end. The beta for kickstarter donators (why aren't they called donars, incidentally?) is right around the corner, and you can keep up with development at the project blog. 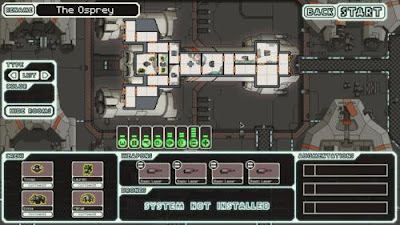 FTL should be out in a matter of months. Watch this space for another indie announcement int he next few weeks! Oh wow, didn't know you were working on this Tom. Great stuff. 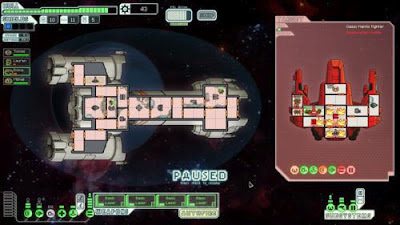 A friend made me aware of FTL quite recently and from what I've seen it's shaping up very nicely. That was an insane Kickstarter as well, $200,000! Hell yeah! 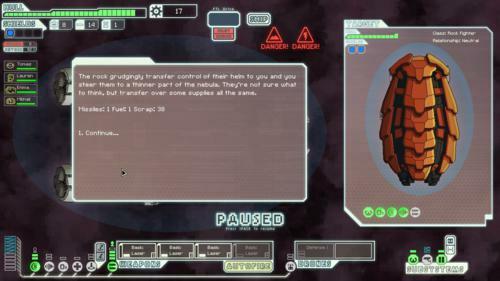 FTL is awesome! Thanks all :-) And now the Beta is out for donators!